(Escondido, CA) -- It's mid-April. 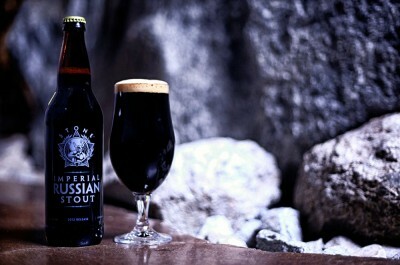 The last thing you probably want to hear about is anything IRS-related, unless of course it's the 2012 vintage of Stone Imperial Russian Stout, which is rolling out to shelves and tap lists starting on Monday, April 16.
release—is one of the world's highest rated beers, garnering a perfect score of 100 on RateBeer.com and an extraordinary 97 on BeerAdvocate.com. "This year's version is full-bodied… very rich and smooth," says Brewmaster Mitch Steele. "The taste is all about malt, with coffee and dark roasted malt flavors in the forefront, a subtle yeastiness mid-palate, and hops present on the back end." "It's absolutely ready to drink now," Steele continues, "but like all of our Stone Imperial Russian Stout releases, it will continue to age and mature for many years." Overall: We don't change this recipe much from the original version that our President & Senior Brewmaster Steve Wagner designed back in 2000. It's a fantastic recipe, and we love brewing it every year! Stone Brewing Co. was founded in 1996 by Steve Wagner and Greg Koch in North County San Diego, CA. It is the 14th largest craft brewery in the United States and has been named "All-Time Top Brewery on Planet Earth" by BeerAdvocate magazine - TWICE! A recently announced $26.6M expansion plan (that includes a hotel among other lofty ventures) is underway, as are developments to become the first American craft brewery to open a brewhouse in Europe. Visit stonebrew.com for more information.